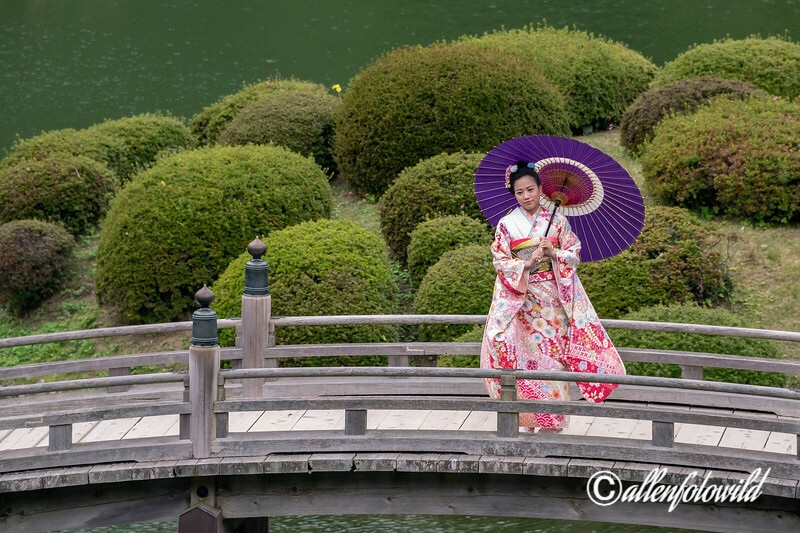 The Geishun-kyo Bridge in Ritsurin Garden, Takamatsu, Japan is a favourite place for wedding and special occasion photographs of woman in their beautiful kimonos. This woman was dressed in a lovely flowered kimono and carried a colourful paper umbrella. Thanks for your great comments, Janet, TruImages, Frank, Howard, Linda, God's Child, Donna and Wayne! Great comp on this image. That is beautiful! I love the purple umbrella. I have long had an affinity for Japanese style, art and architecture. This is superb Terry!